Founded in 1870 as a distributor of coal and petroleum-based products, today Sprague is one of the largest independent suppliers of energy products and related services in the Northeast. Their strategically located refined products and materials handling terminals, coupled with their natural gas pipeline capacity, give the company unprecedented access to energy products and services. They market products to over 20,000 retail, commercial, industrial, utility and wholesale customers. 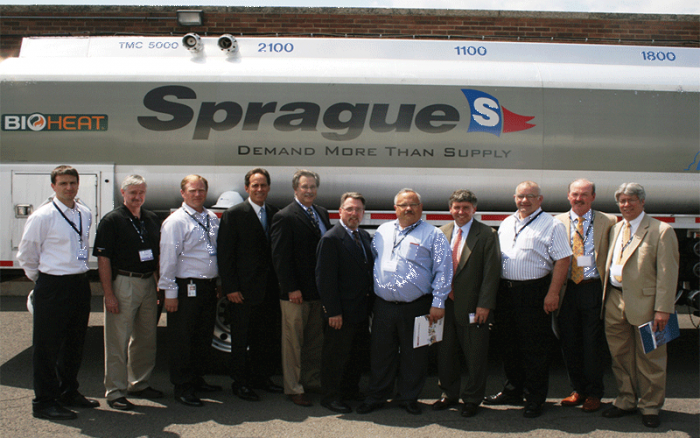 Sprague is one of the largest independent suppliers of energy and materials handling services in the Northeast with products including home heating oil, diesel fuels, residual fuels, gasoline and natural gas. Over the years, Sprague has aggressively expanded its offerings to meet the ever-changing energy and logistics markets. Coupled with its strong physical assets, Sprague provides differentiated products and services including value-added customer support and online tools that are unmatched. The energy industry is an exceptionally dynamic industry—always changing, always evolving and always innovating. As their business grows, they are continuously looking to add new people to their team. Sprague is an Equal Employment Opportunity, and they welcome diverse outside perspectives, experiences and great talent that can help us become stronger, smarter and more essential to the customers they proudly serve. Click Here To View And To Apply To All Of Sprague's Available Positions!